Oceania, island group consisting of nine coral atolls in the South Pacific Ocean, about one-half of the way from Hawaii to Australia. 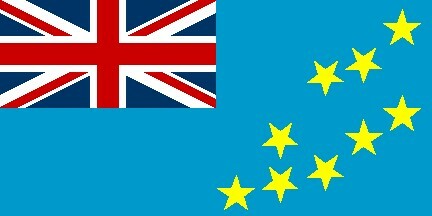 Tuvaluan, English, Samoan, Kiribati (on the island of Nui). Funafuti; note - administrative offices are located in Vaiaku Village on Fongafale Islet.